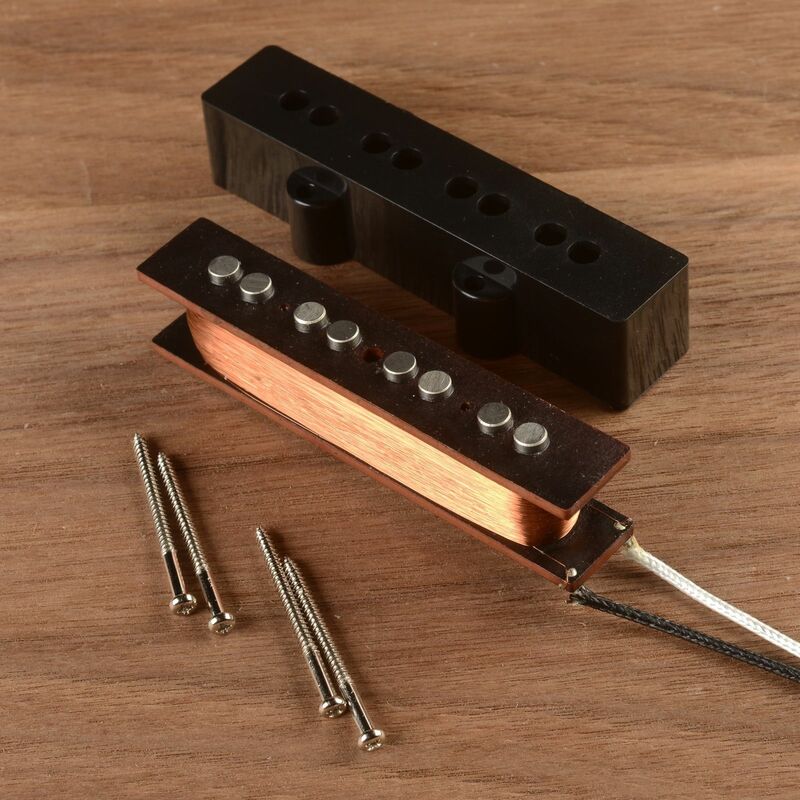 Single coil is made of Black vulcanized fiber, Alnico V magnets and copper wire AWG42. 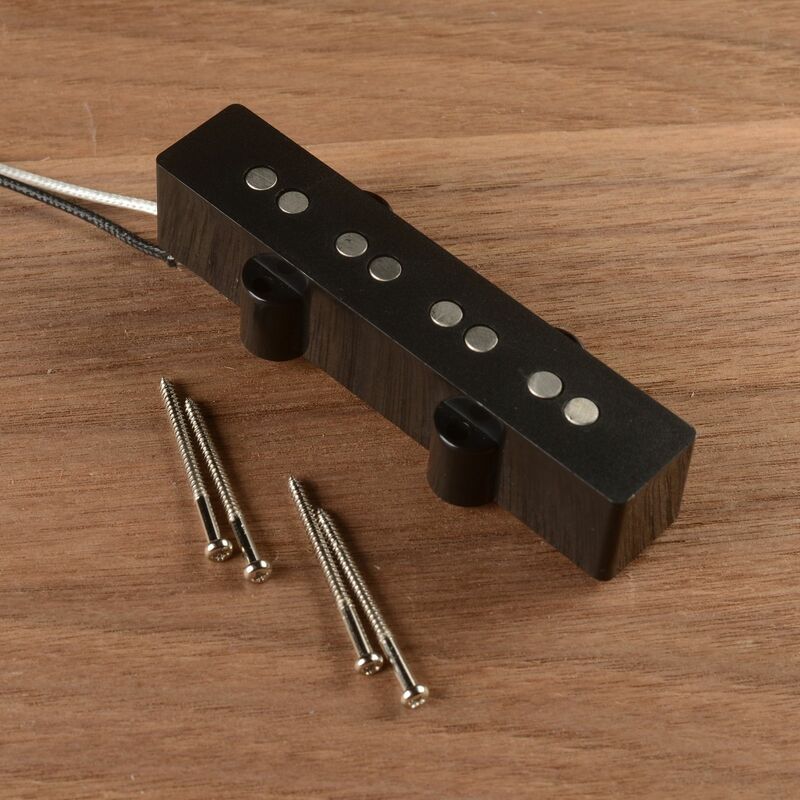 The pickups are sold with Black covers. 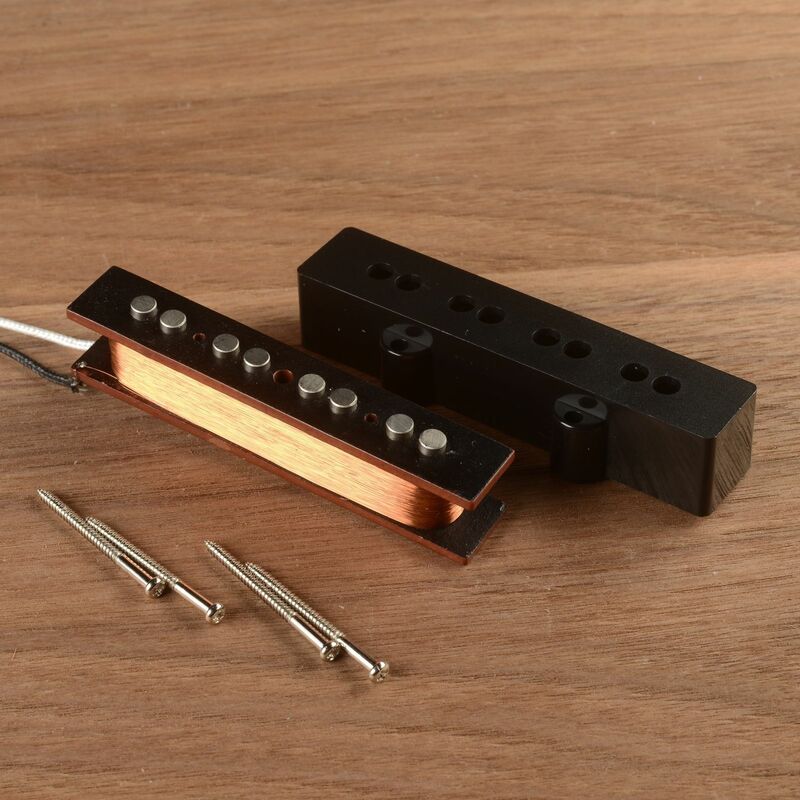 Single coil is made of Black vulcanized fiber, Alnico V magnets and copper wire AWG42. Additionally glued and varnished. Glue eliminates the possibility of detaching the flatwork from the magnets, and the varnish adds additional structural strength and prevents electrical shorting wire on the magnets. The pickups scatter wound using copper wire. Pickups potted in a mixture of paraffin and beeswax from bee farm of my grandfather. 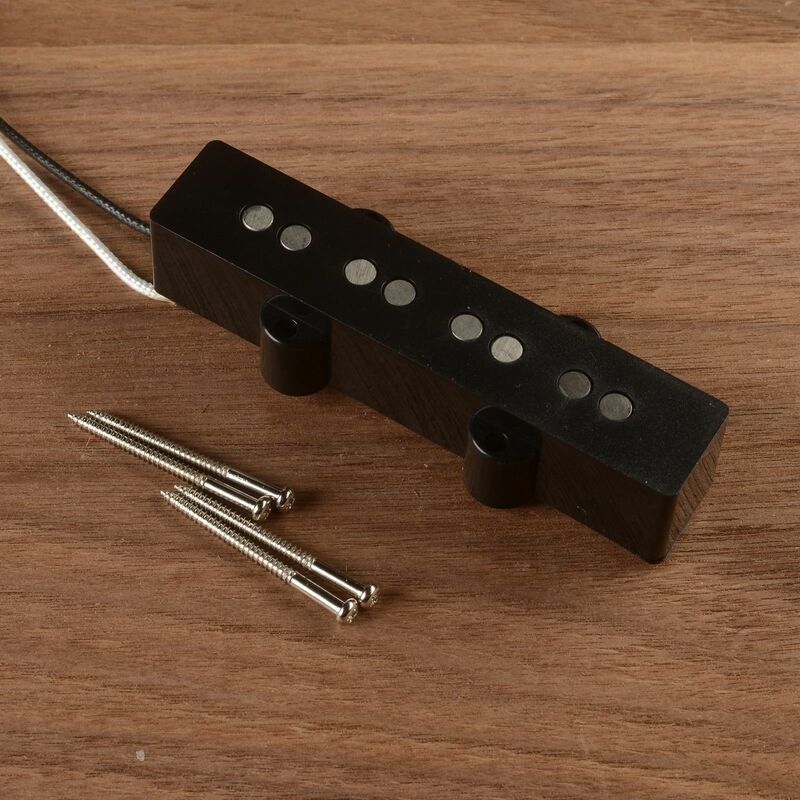 I have bought a pair of Alexander’s JB-pickups to replace the pickups of a 1974 (japanese) Fujigen made Jazz bass. Fujigen basses deliver great craftsmanship (in this case even heavy craftsmanship, the bass weights 4,8 kilogramm) but the japanese pickups used to be below that high standart. 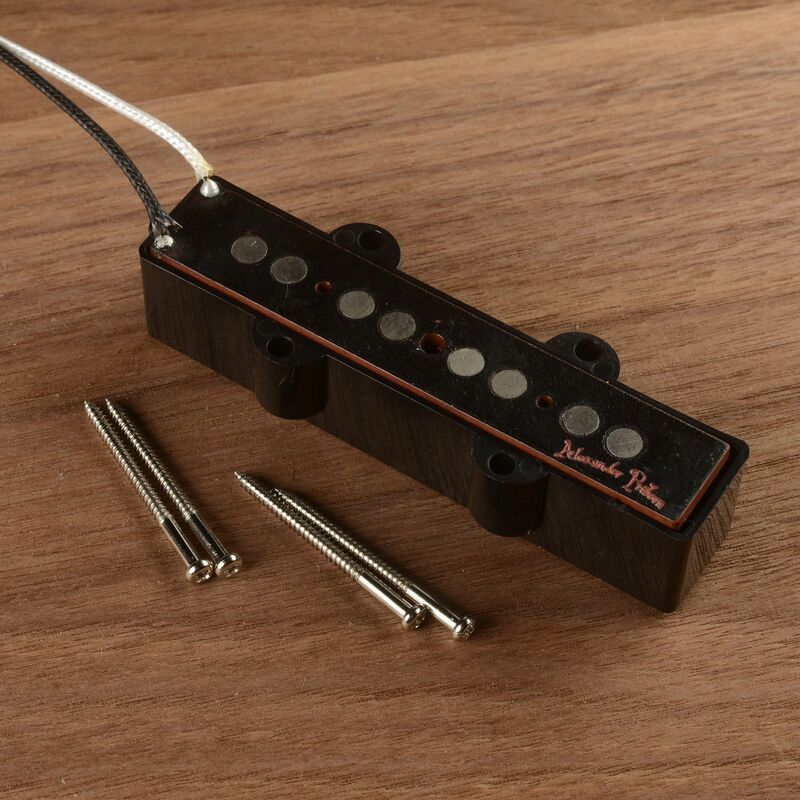 With Alexander’s pickups my Fujigen sounds much better then before – I am very much satisfied. The shipment from Moscow to Germany took three weeks (mostly because of customs). I didn’t have to pay for taxes, the postman brought me a small parcel with the pickups. Installation was easy beside that the pickup covers were at their ends too square to fit for the Fujigen PU “holes”. 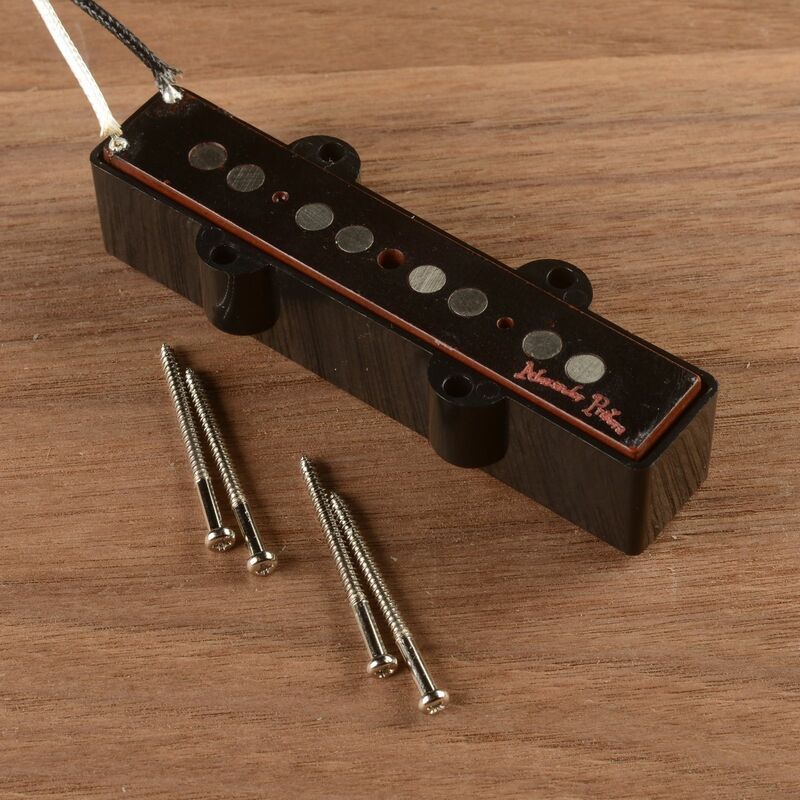 Just a millimeter but… At the end I’ve used the pickup covers of other japanese pickups and they were rather fitting – problem solved. As I have announced in my previous review, I have used another pair of Alexander’s Jazz PUs for a replacement. This time on a Japanese 70s Jazz bass with maple neck, with alder (or ash?) body and again with the “famous” 70s PU spacing. I can only second myself: The PUs sound great! A significant improvement! They sound different to the ones I’ve bought previously from Alexander – because they are set up in a different bass. I think that’s a feature: Unlike Seymour Duncan Quarterpounders that always sound like Quarterpounders these PUs are much more supportive to the original sound of the bass. I hope “Out of stock” doesn’ t mean “Out of production” as these PUs definitely deserve a wide distribution. The price/value ratio is outstanding.